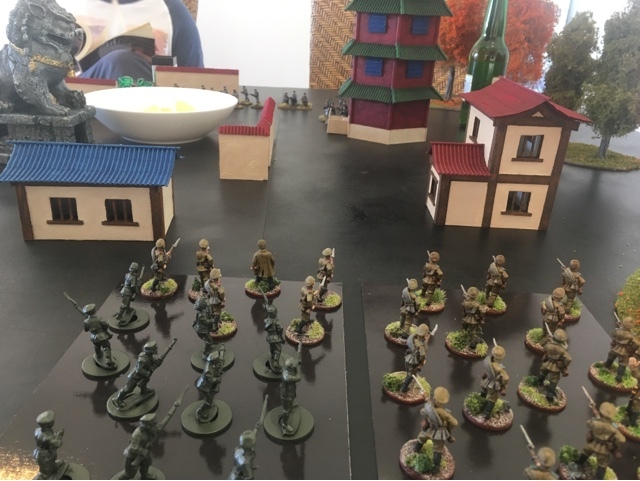 These are some pics from a game today of warhammer the Great War using British late war rules for the warlord Chinese and a draft Russian list. 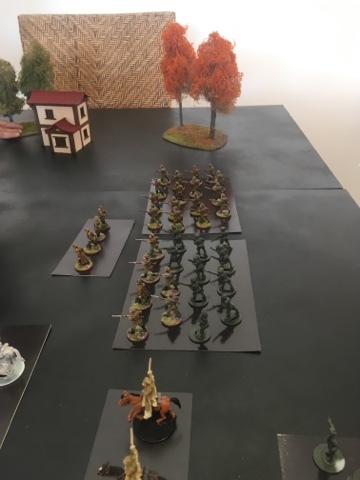 As usual it was a bloody affair with both units of cavalry decimated and a desperate struggle for control of the strategic pagoda on the Russian right flank. Much like most of the battles of WW1 this ended in a stalemate. We will tweak the Russian list with the core infantry reducing their WS and BS to 5+ from the current 4+ in the draft. 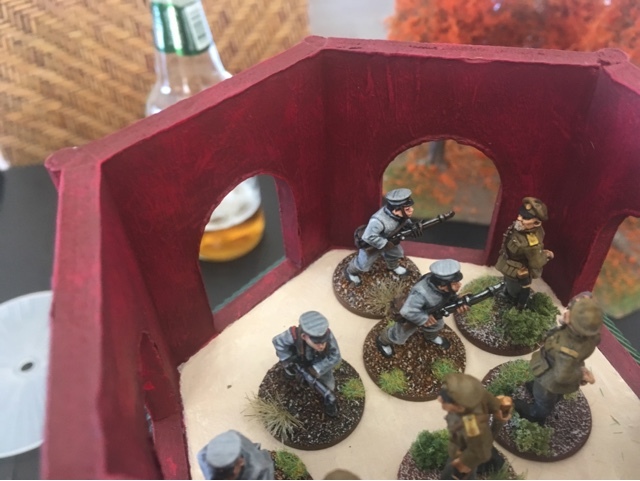 Having larger infantry units with poor skills seems appropriate along with our soon to trial vodka rule and summary executions for units who fail morale. Usual blurry pics to follow. 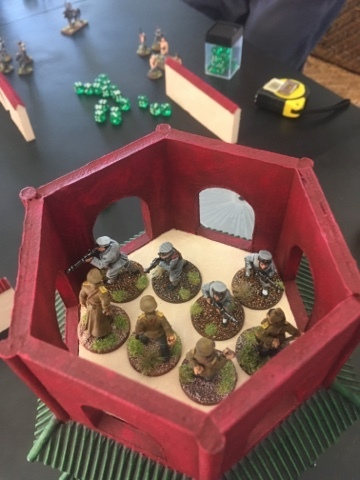 The Russians move towards the pagoda tower knowing the will be exposed to the wraith of the Chinese HMG. 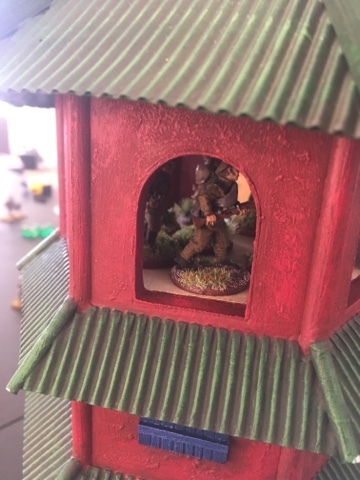 The warlord Chinese seize the pagoda tower. 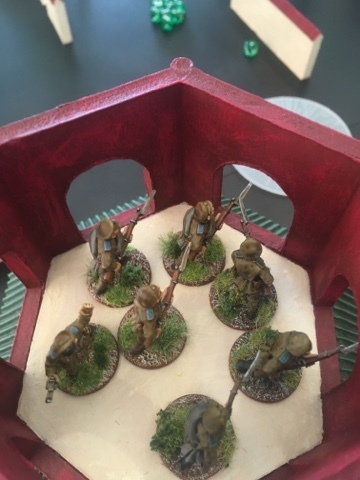 The warlord Chinese emerge from beyond the safety of the walls and prepare themselves for the charge of the Russians. 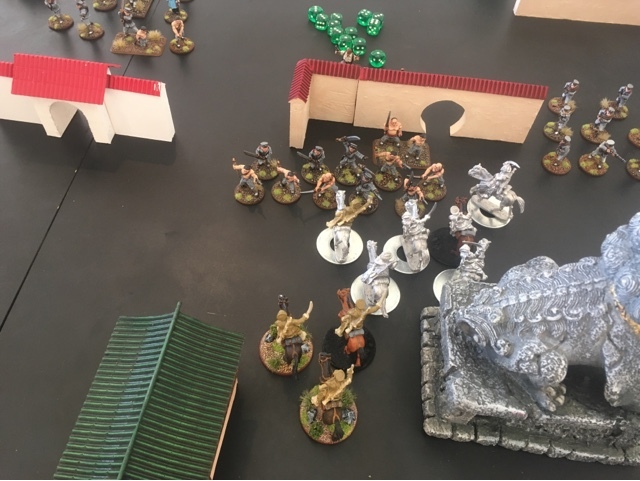 Although a few of their comrades are lost to rifle fire from the Chinese, the remaining cavalry charge into them to extract bloody revenge. 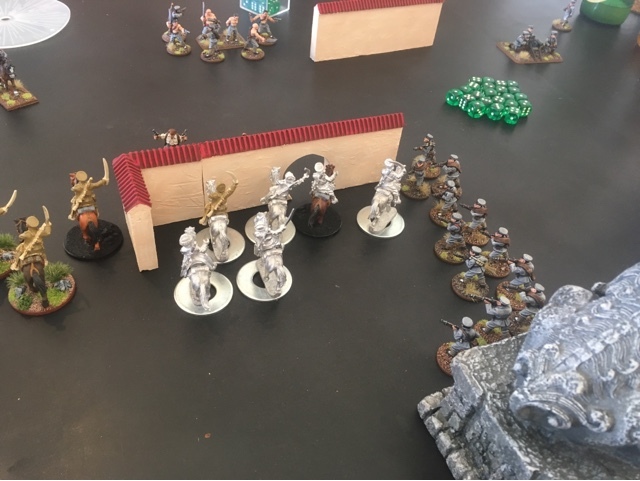 The cavalry command joins into the charge. 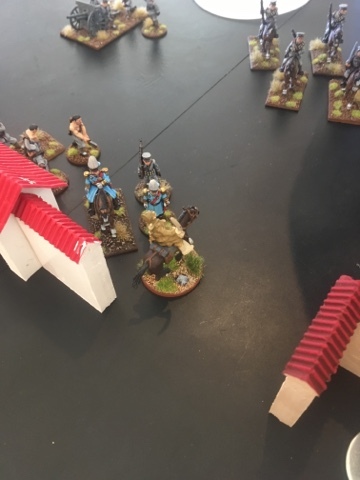 The cavalry charge is complete with the target fleeing after losing half of their platoon. 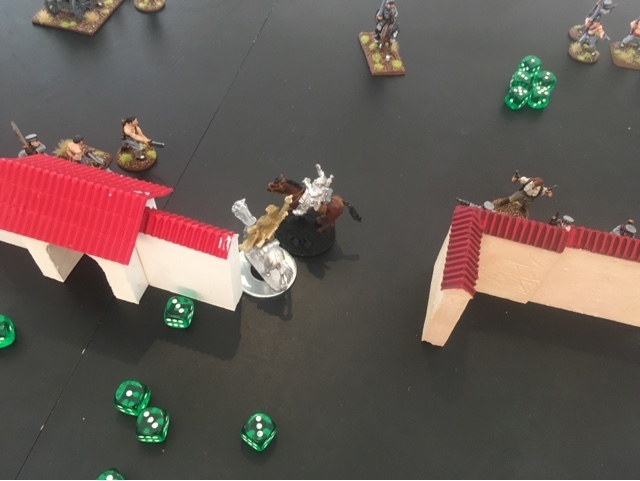 The consolidated cavalry command consolidate only to be gunned down before they can take down the battalion command. 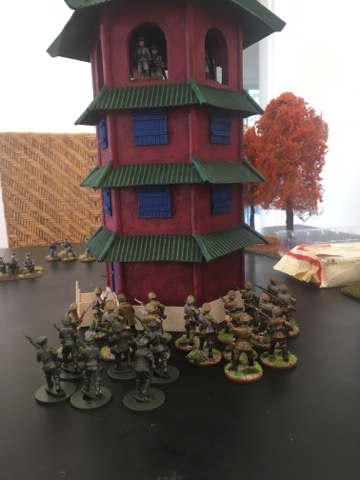 Russian infantry charge and occupy the pagoda removing the incumbent Chinese. 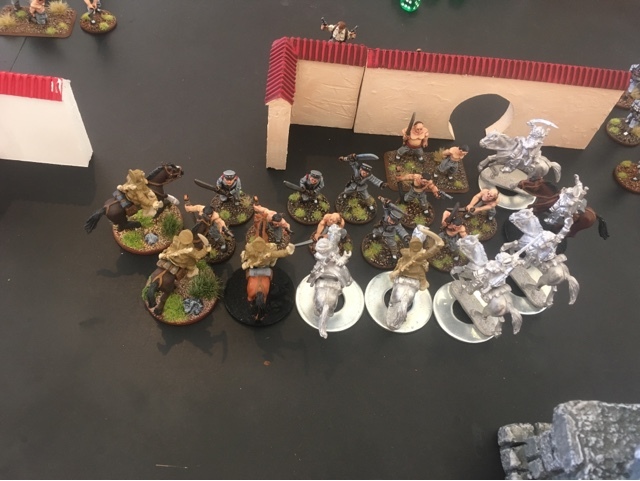 The remains cavalry troop take out the Chinese warlord and his entourage but likewise leave themselves exposed to the warlord battle line. The Chinese counter arrack on the occupying Russians is swift and brutal. 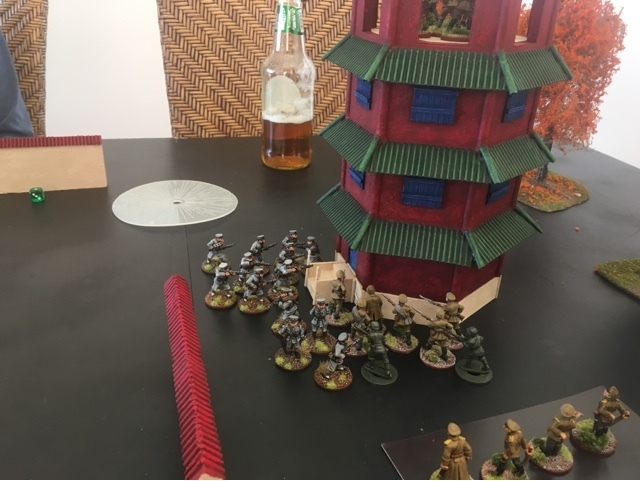 The occupiers numbers are less than ideal with the veterans of the warlord Chinese closing in. 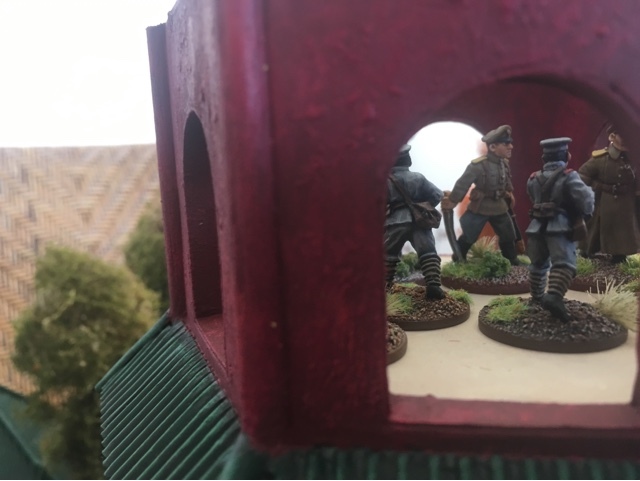 The Russians are soundly defeated and flee the pagoda. 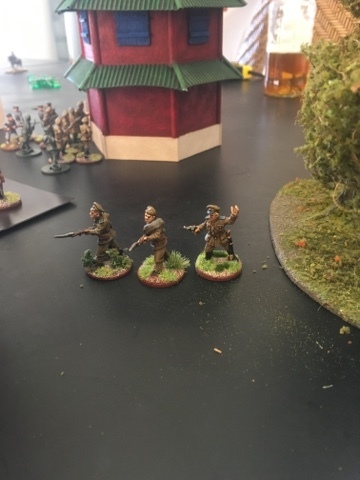 The infantry command make a final turn desperate charge to retake the pagoda. 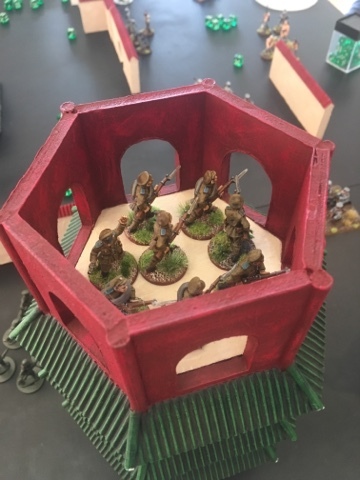 The veteran Chinese and infantry command battle it out high above the battlefield. 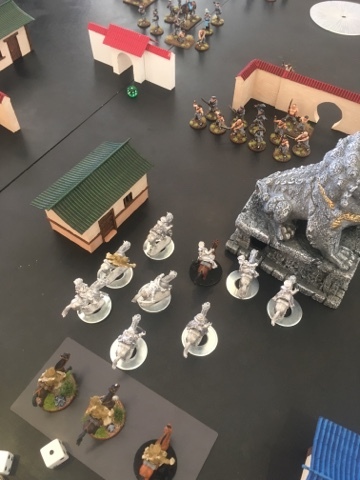 The battle ends in a stalemate with both sides unable to control the pagoda and with a heavy heart return to their respective HQ to plan their next mission. 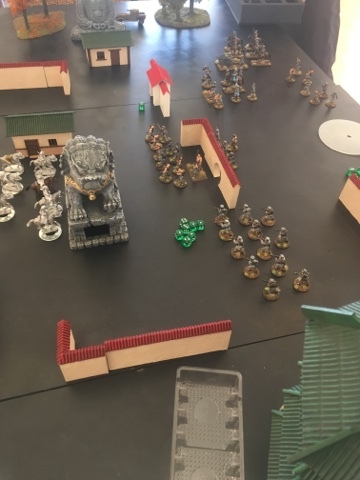 Overall although the Russian list needs some tweaking and a few rule oversights by myself the game was a blast and I still am hoping GW or forge world release the eastern front supplement. If not, we will continue to tweak our own rules and enjoy this tragic theatre of war.